St. Louis wants to be a biking city. But despite years of effort, the city has had a tricky time launching a bike-sharing program, which have traditionally required municipal investment in bikes, docking stations and upkeep. Enter "dockless" biking. The bikes, fitted with onboard locking mechanisms triggered via app, are tracked with GPS chips and generally cost users about $1 per ride. The systems are widely deployed across China, and this year the dockless craze hit a handful metro areas and college campuses in the U.S.
"We don't have to own it," says Ward 24 Alderman Scott Ogilvie. "The companies will set up a system here, and we don't have to pay for it, up-front or going forward." A private company makes the investment in hopes of reaping the profits. 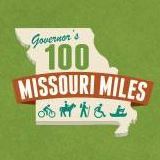 MoBikeFed comment: St. Louis is one of the largest midwest cities that still lacks a bike share system.